There have been a few races run on aggregate in the past - usually as a result of rain. Essentially the race gets stopped for a bit and restarted, with the result being decided based on the combined times from both ‘parts’ of the race. The most famous example was when Damon Hill defeated Michael Schumacher at a wet Suzuka in 1994 - which was actually the last time the aggregate system was used in a race. But the 1959 German GP was a little different. 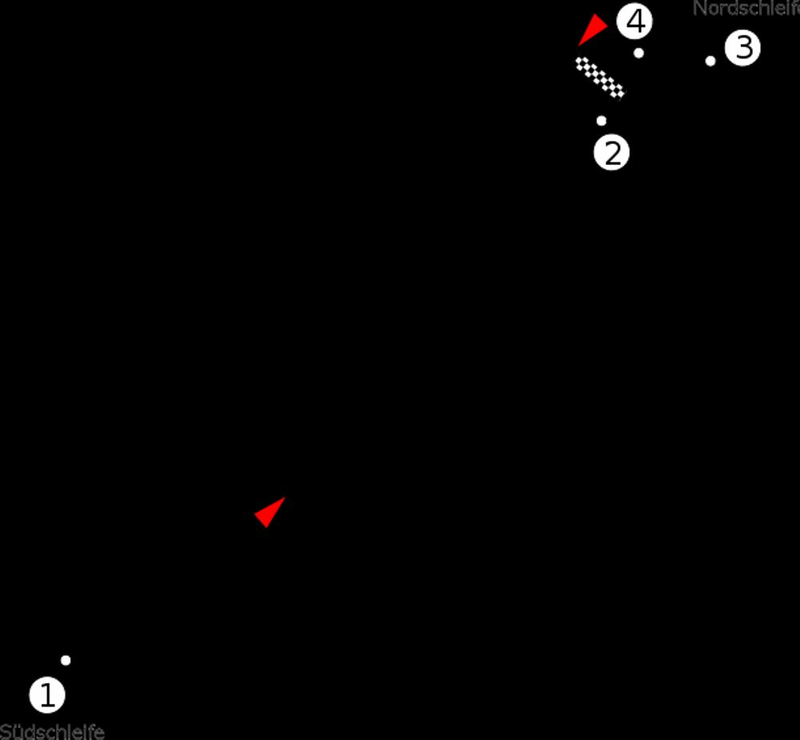 There were some concerns that the tyres might not last a full distance, but instead of an Indianapolis 2005-style controversy, it was simply decided that the race would be run in two 30-lap heats, with the result being decided on the combined times. For the one and only time, a world championship German GP was held at the AVUS circuit near Berlin. There wasn’t much to it - it was basically a race along each side of an Autobahn, with a tight hairpin at one end and a massive, looping, banked turn at the other. The layout played into the hands of the powerful front-engined Ferraris, giving them a slight edge over the more nimble rear-engined Coopers. The trio of Tony Brooks, Dan Gurney and Phil Hill battled up at the front but were being challenged by Masten Gregory’s Cooper, though an engine failure soon put an end to his challenge. At the end of the first heat, Brooks led from Gurney and Hill. Of the 15 cars that started, six had already retired at half distance, leaving just nine cars to take the start of heat two. Once again it was the Ferrari trio that led, with Bruce McLaren doing his best to hang on until his Cooper also gave up the ghost. The Ferraris continued to fight it out at the front and the lead changed several times - however, their lap times had dropped off considerably, and there was a sense they might just have been doing it for the show. Brooks once again took the flag and with it, the overall event victory. 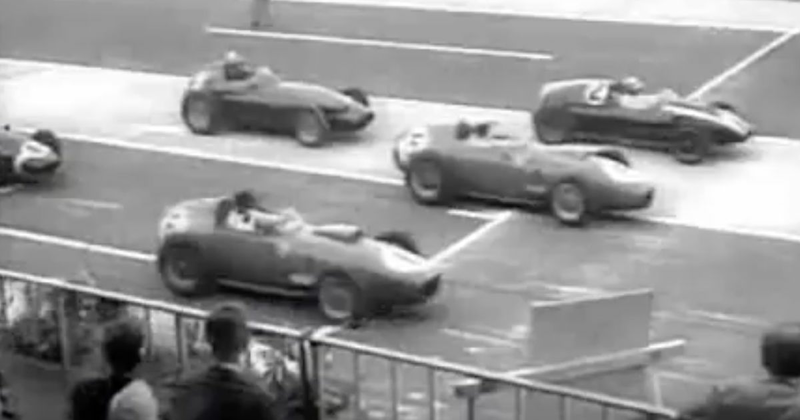 In only his second grand prix, Gurney was second (despite finishing behind Hill in the second heat) with Hill third, more than a lap ahead of fourth-placed Maurice Trintignant. Championship leader Jack Brabham had a bad time, retiring on lap 16 with transmission failure, and saw his championship lead cut to just four points over Brooks. The same fate also befell Stirling Moss, but he only managed to complete a single lap. BRM driver Hans Hermann had an incredibly lucky escape during the race. At the start of the second heat he clipped some hay bales and was dramatically thrown clear from his car as it flipped multiple times - incredibly, he was absolutely fine. One driver who might have been up at the front fighting for the win was the enigmatic Jean Behra. He’d started the year as a Ferrari driver, but after breaking down in his home race in France decided to punch the team manager and was promptly sacked. He was due to compete at AVUS in a Porsche but was tragically killed in a support event before the race. On This Day In F1 - Enzo Ferrari Was Born... Or Was He?